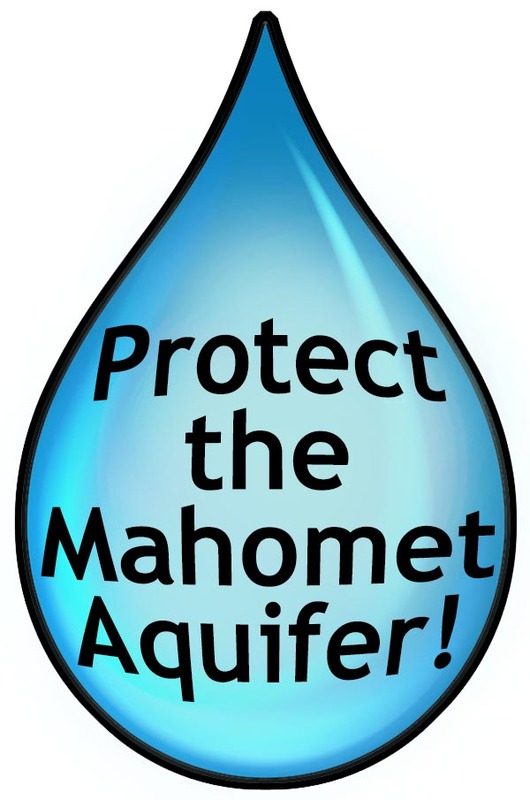 September Update: Protect the Mahomet Aquifer! More than ever, Champaign County Health Care Consumers (CCHCC) needs your help and support to protect drinking water in Central Illinois from toxic contamination. As unbelievable and irresponsible as it seems, drinking water for more than 750,000 residents in 14 counties in Central Illinois is under threat of contamination from toxic chemicals because of the greed of a single corporation. PDC/AREA Disposal owns the Clinton Landfill and its toxic waste dump, which sits above the Mahomet Aquifer. Recently, thanks in large part to citizen involvement and local government action, there have been important victories in the effort to protect the Aquifer from chemical waste at the Clinton Landfill. But the victories are temporary stays, and more action is needed to create a permanent solution to protect our Aquifer. Despite our recent victories to halt toxic chemical dumping at the landfill, the owners of the Clinton Landfill are still planning to fight for and seek the necessary permits to allow dumping of Manufactured Gas Plant (MGP) waste, polychlorinated biphenyl (PCB) waste, and other toxic chemical waste in their Landfill. And the decision to issue these permits starts with the DeWitt County Board – unless we can create a state solution to permanently protect our Aquifer. The effort to permanently protect the Mahomet Aquifer will have to take place on several fronts – from pressuring the DeWitt County Board, to pressuring the Governor, state legislators, and state agencies to do the right thing. A big part of the effort will also have to focus on raising awareness among residents of Central Illinois so that they can learn what’s at stake and join the effort to protect the Mahomet Aquifer. Read on for more information and to learn what you can do to help. Also, check out our new bumper stickers so you can help spread the word about protecting our Aquifer! In 2007, Clinton Landfill sought a special permit from the Illinois Environmental Protection Agency (IL EPA) to receive “Chemical Waste” at its Clinton Landfill #3. In a series of moves that were done improperly and many allege violated the law, Clinton Landfill obtained local siting approval from the DeWitt County Board to operate a chemical waste landfill, and then obtained approval from the IL EPA to allow the disposal of MGP waste and PCBs at their Chemical Waste landfill. Until this past August, the Clinton Landfill had been receiving MGP waste since 2011, but had been awaiting final approval from the US EPA to receive PCB waste. The US EPA had granted draft approval to Clinton Landfill for toxic PCB waste in 2011, but, thankfully, because of citizen and local government actions, had not finalized the permit for PCBs. Now, recent actions by Illinois Governor Pat Quinn and the IL EPA have resulted in temporary bans to the dumping of MGP and PCB waste. Despite these important victories, PDC/AREA Disposal, the owner of the Clinton Landfill, still intends to pursue plans for a Chemical Waste landfill. Currently, Illinois law does not prohibit the creation of these landfills above our aquifers. In fact, the law is written in such a way that the Clinton Landfill owners simply have to go back to the DeWitt County Board to seek proper approval for siting this Chemical Waste landfill. In other words, unless Illinois law is changed, the decision about whether a Chemical Waste landfill can exist above the Mahomet Aquifer comes down to the decisions made by a local unit of government – the DeWitt County Board. Add your name to the petition calling on the DeWitt County Board to deny Clinton Landfill’s next application for a siting permit to receive chemical waste like MGPs and PCBs. In order to move forward with its plans to receive MGP and PCB waste, Clinton Landfill’s first step will be to seek a local siting permit from the DeWitt County Board. The DeWitt County Board is stacked with Landfill supporters and needs to hear from as many Central Illinois residents as possible that their local actions can irreversibly affect an entire region of the state for generations to come. Add your name to the petition calling on Governor Quinn to fully rescind Clinton Landfill’s permit for “Chemical Waste.” While Gov. Quinn’s actions in July and August were of paramount importance, they simply resulted in not allowing the specific MGP and PCB forms of chemical waste, but did nothing to rescind Clinton Landfill’s designation as a Chemical Waste dump. Clinton Landfill’s permit for Chemical Waste must be rescinded in its entirety. 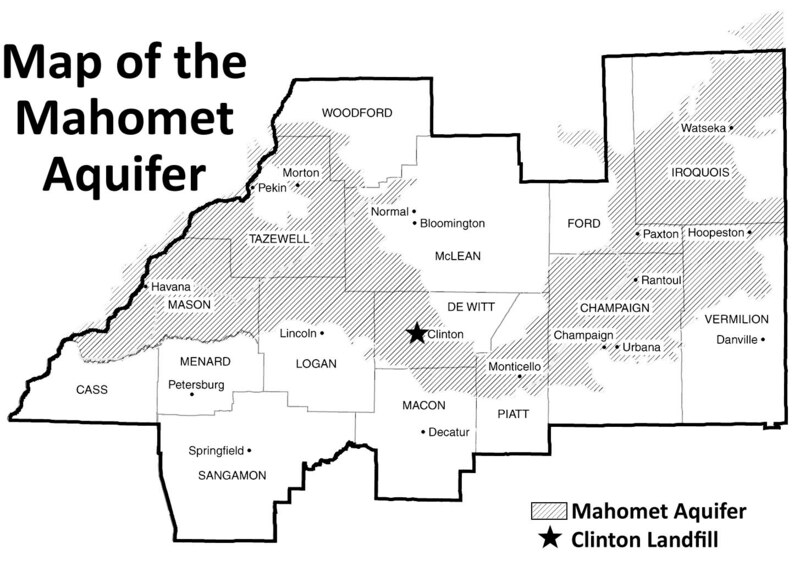 Add your name to the petition calling on state lawmakers to create a state law to permanently protect the Mahomet Aquifer. There ought to be a state law that protects the drinking water for an entire region of the state! The actions of one local government body should not be allowed to harm a natural resource that serves an entire region. Make a tax-deductible contribution to support CCHCC’s work to protect the Mahomet Aquifer. This work requires massive outreach efforts, including the costs of materials and staff time. Join or support the boycott of AREA Disposal, the company that owns Clinton Landfill. CCHCC and the members of the multi-county coalition that are working together to protect the Mahomet Aquifer, are calling for a boycott of AREA Disposal. The purpose of the boycott is to let AREA Disposal know that our communities do not approve of the Clinton Landfill Chemical Waste dump and the threat it poses to the Mahomet Aquifer, and we will not help enrich a company that is so willing to threaten our environmental and public health in order to benefit its bottom line. If AREA Disposal (PDC/AREA) is your garbage hauler, please consider changing hauling companies. Click here for a list of alternative haulers. Help spread the word. Share our information and use e-mail and social media to help inform your contacts. “Like” us on Facebook. Get your bumper stickers to help create awareness! Bumper Stickers – a great way to help spread the word! Get your bumper stickers now! We have two new bumper stickers: 1) I “heart” my Aquifer and 2) Boycott AREA Disposal bumper stickers. Sales of the bumper stickers go to support CCHCC’s work to protect the Mahomet Aquifer. Please check out the bumper stickers in the CCHCC store! There is no greater environmental or public health threat facing Central Illinois than the possible toxic contamination of the Mahomet Aquifer. Thank you for your support and ongoing involvement as we work to create a way to permanently protect the Mahomet Aquifer!